 Senior Housing Business posts news that Christina Johnson has joined MedBest Executive Search as a Senior Recruiter. Read Full Announcement. Christina brings over 30 years of experience working in the senior care industry as a leader and operator and as a result, brings a wealth of knowledge about the Senior Living Industry. The bulk of her career has been spent as a licensed Nursing Home Administrator in Florida. She has also worked as an Executive Director in Assisted Living and dedicated Memory Care communities. In addition, Christina has experience with retirement communities that include all levels of care, including Independent Living. All her past work experiences have given her invaluable insights as a recruiter. Christina is able to capitalize on the knowledge gained from her operations career and apply it to matching candidates with clients. She’s intimately aware of the challenges they face and recognizes the rewards that come from this admirable profession. Christina has received formal training on memory care programming models and is proud to be a formally trained Alzheimer’s Support Group Facilitator. In addition, she has developed a passion for serving our military veterans. She’s proud to have championed a number of programs to honor resident veterans. Contact Christina Johnson at cjohnson@medbest.com or 727-316-6695.